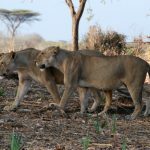 Fodor’s editor Alexis Kelly had always dreamed of going to Africa— so as the editor of the first edition of Fodor’s The Complete African Safari Planner, taking a trip to Tanzania seemed like a no-brainer. Here she shares her experience of visiting Africa for the first time, as well as some of the tips she learned while traveling. 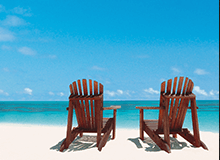 I picked Tanzania because it has great game, great parks, luxury accommodations, and beautiful beach destinations. Until recently it was also cheaper and less visited than its neighbor to the north. 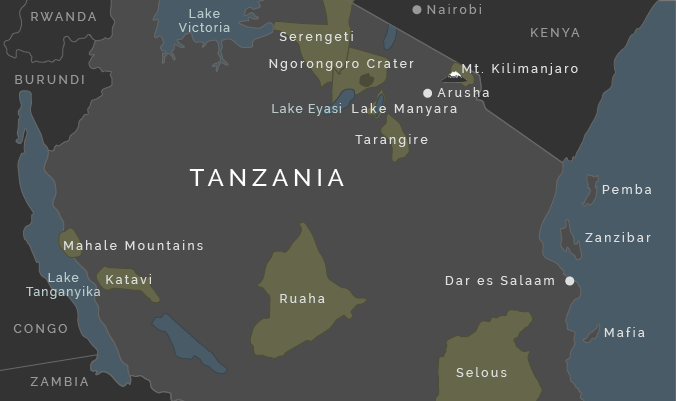 Since the violence that occurred in December in Kenya, Tanzania may be more expensive than Kenya, but it’s safe, beautiful, and open for business. It’s also home to some of the most coveted tourist destinations in the world: Serengeti, Ngorongoro Crater, Zanzibar, the Rift Valley, Lake Victoria, Tanganyika, and Mt. Kilimanjaro. What game did you see? Lions and elephants and hippos, oh my! We saw it all (except for rhinos and leopards) and wanted more. You really never tire of seeing the animals. On one drive, we came upon three lionesses just milling about, so we stopped and watched them as they rested and played without paying attention to us. At one point our truck was surrounded on three sides by the lions, but I think it was the shade, not us, that interested them. Another time we came upon the revolting yet extremely fascinating sight of a male lion right after had he killed a giraffe. I loved watching the giraffes drinking, the weaver birds flying in mass unison, and the hippos lounging in the water. I also became obsessed with seeing baobab trees and termite mounds; both are a sight to be seen. I stayed at some amazing places. The first was at the Souk in the Slipway complex (www.slipway.net) in Dar es Salaam. It was a great place for an overnight before we left for our first camp. The rooms were basic and clean, perfect for jet lag recovery. The Slipway has four restaurants, a supermarket, and a great craft market—we did most of our shopping there, on the first night! It’s self-contained so you don’t have to worry about wandering around Dar in a sleep deprived state. The next day we flew to the Selous Game Reserve, where we stayed at the Selous Safari Camp (www.selous.com). Talk about a once in a lifetime experience. We were feet from the shores of the lake that the camp borders. Our tent was right out of my dreams—canvas and mesh walls surrounded the raised platform where we slept. We showered under the open sky, washed our hands in brass basins from India, and slept on exquisite linens. The camp isn’t fenced in, so there were animals everywhere. It was amazing. 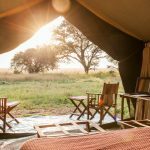 Next we flew to Ruaha National Park for a few nights at Jongomero Camp, which is situated on the banks of the Jongomero Sand River. Also owned by the Selous Safari Camp, Jongomero has a sleepy feeling that immediately lulls you into a comfortable, relaxed state. The tents line the banks of the river. Though the river was dry while I was there, the riverbed is a busy thoroughfare for animals; hippos and elephants were always walking by the tent during the night to feed and cross the riverbed. The furniture is repurposed from the wood of old dhows (traditional fishing vessels) found in Dar es Salaam. 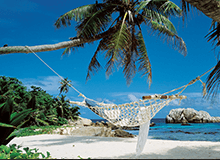 After Jongomero, we flew to Zanzibar for a little R&R. We stayed at Rus Nungwi (www.rasnungwi.com), a beach resort on the northern tip of Zanzibar. 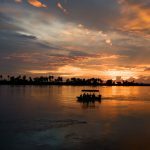 Ras Nungwi is a favorite among more active travelers, who might enjoy the diving, snorkeling, fishing, and kayaking on offer. The thatched cottages are cool and inviting, while the mosquito netting gives off a breezy casual feeling that pervades the gardens, lounge areas, and dhow tours. The last stop was Stone Town, a UNESCO World Heritage Site and Zanzibar’s main hub. We stayed at Beyt al Chai (www.stonetowninn.com), in Kelele Square across from the Zanzibar Serena Inn, around the corner from the dining and shopping near Forodhani Gardens and the Old Fort. The hotel, an old tea house, has thick walls and small shuttered windows, typical of the local architecture, to keep the rooms cool. Four-posted canopy beds draped in mosquito netting complete the cool atmosphere. A masai guide guards the door and escorts you where you’d like to go, though it felt fairly safe to walk to the gardens. What would you do differently if you could take the trip again? I would stay longer. Nine days is not long enough to feel settled or really get the feel of a place. I could have spent a whole week going out on game drives, boat safaris, or guided walks. The ideal trip length is really 2-3 weeks and you should plan three nights at each camp, if possible. You should also try to stay in different types of camps and terrain so you get the feel of different parts of the country. Where Selous Safari camp was lush and flat, Jongomero was dry and hilly. I’d also bring more money to shop. I know that seems trivial, but I have kicked myself more than once for not buying that Tinga Tinga painting and beaded basket. The fact is that you might not get back to Africa again, so if you think you might want to purchase something—just do it. You might find something similar online, but never at the unbelievable prices that you’ll find. Plus, the local people depend heavily on tourist dollars. When is the best time to go to? There are two rainy seasons: the short rains (mvuli) October through December; and the long rains (masika) from late February to early May. Given the influence of global warming, these rains are not as regular or intense as they once were. It’s best to avoid the two rainy seasons because many roads become impassable. High season is January to the end of September, but prices are much higher during this time. Make sure you find out in advance when the lodge or destination of your choice is closed as many are open only during the dry season. The coast is always pretty hot and humid, particularly during the rains, but is much cooler and more pleasant the rest of the year. The hottest time is December just before the long rains. In high-altitude areas, such as Ngorongoro highlands and Mt. 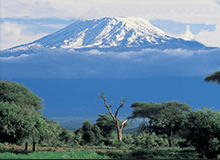 Kilimanjaro, temperatures can fall below freezing. Malaria is the biggest health threat in Tanzania, so travelers need to be vigilant about taking anti-malarials and applying the bug spray. You also need to drink a lot of water, but be wary of where it comes from; try to always drink bottled water and ensure that the bottle seal is unbroken. It’s also imperative to use strong sunscreen: remember you are just below the Equator where the sun is at its hottest. And wear a brimmed hat to shade your face and neck from the sun. Also bring along a small notebook so that you can jot down all the names you hear and questions you might have that you can ask back at camp. And don’t forget comfortable walking shoes. 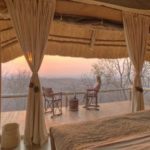 Any advice for people going on their first safari? I’d advise people to organize their trip through an operator so that things like airport pickups, transfers between lodges, etc are all taken care of… leaving more time for you to relax and enjoy. 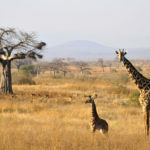 I’ve worked with Tanzania Odyssey www.tanzaniaodyssey.com) and Micato (www.micato.com) and both are extremely professional and helpful. Also make sure you ask about any extras charges so that you’re not surprised with extra fees. 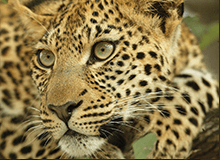 For example, most game drives are included in the per person, per night rate, but not always. National parks charge a daily rate, so make sure to check to see if the park fees are included. If you’ll be staying at different camps, ask if your transfers between camps are included. If you like to have a cocktail or two, ask what alcohol is included in your rate. These could all be extra charges you were not expecting. For detailed information about Tanzania and Zanzibar please look at our site – www.tanzaniaodyssey.com, and click here for information about a Tanzania safari.